Props to Aerfenn for such a great shop template! I'm following her design a bit to keep things cohesive in here. Special Offer: I will also pay your submission fee for your first 5 products using my meshes. 3. 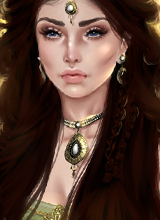 PM me on IMVU (Angelskiss2007) after posting in this thread for a faster response. 4. I retain the right to refuse a refund if I find the product to use stolen textures or break a rule listed here. From time to time, I may offer advice on submissions to help improve the quality or potential of your design. It is not required that you follow it; It's only to be helpful! Last edited by Angelskiss2007 on Fri Sep 22, 2017 7:48 am, edited 1 time in total. Haha! Totally! Please do! You have great products, too! We'll have to do some derive trading lol.